A budget crisis is imminent for Navajo County. The upcoming closure of the Navajo Generating Station and Kayenta Mine will cost millions in tax dollars. Heads of county departments like the Sheriff’s office are talking about layoffs and reduced services. Bryan Layton oversees budget and finance for Navajo County. He spoke with KNAU’s Zac Ziegler. KNAU's Zac Ziegler speaks with Bryan Layton, Assistant County Manager for Budget and Finance at Navajo County. Zac Ziegler: The closure of the Navajo Generating Station has been talked about for years. What’s been done to prepare in the interim? Brian Layton: Exactly, I've been with the county just over three years, and my first week here we talked about the pending closure of the Navajo Generating Station. We performed a very exhaustive analysis of all the revenues, every opportunity that the county has to be able to replace those revenues. 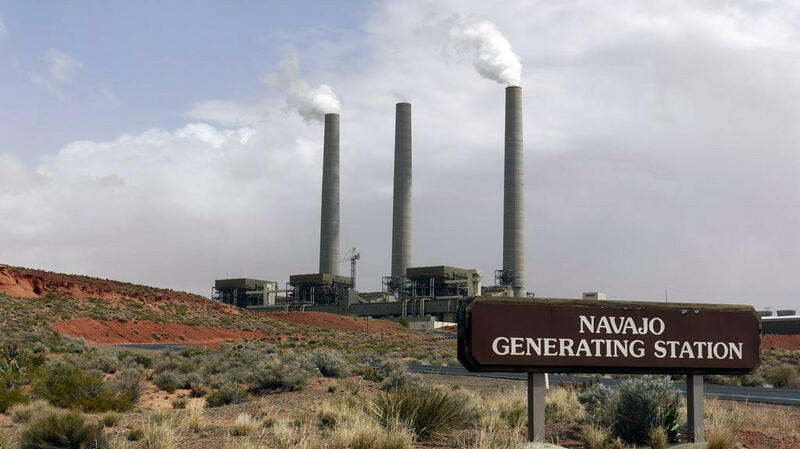 As we looked at all those, there are not any other viable options to replace the revenues from the Navajo Generating Station and the Kayenta Mine. ZZ:How did money get from the Navajo Generating Station and Kayenta Mine into the coffers of Navajo County? BL: We collect revenues through the sales of the coal from the Kayenta Mine to the Navajo Generating Station. So that's County sales tax that comes to us. ZZ: We're talking about county staff layoffs. You’re a county employee, do you have any worries? Are the folks you see in the halls everyday, are they worried? BL: Absolutely. County employees are concerned. Every elected official and department director that's presented to the board has talked about wages. So not only are county employees feeling the stress of additional workloads, they're also dealing with low wages. We are one of the lowest paying county in the state. Employees really have not received an increase to their wages for nearly a decade. The stress of additional workloads, the stress of this uncertainty of the future and the stress of having wages that are well below market is very hard on employees. ZZ: Six departments have come before the County Board of Supervisors to say how they'd rework their budget so far. What have you been hearing from them while you're at those meetings? BL: Our elected officials and our department directors have been very clear that with additional reductions services will change, and they’ll change in ways that our residents are really going to recognize and feel. ZZ: What concerns do the people of Navajo County have, and what concerns do you have for the people of Navajo County? BL: I think the residents in Navajo County are going to be first concerned about the impact on public safety. And we’ll see the impact on public safety through our County Attorney. If they lose additional prosecutors, he'll have to make some really tough decisions on which cases he will not be able to prosecute. We’ll be looking at large reductions in our sheriff's office. Our Sheriff's Office provides 24-hour coverage to the unincorporated areas. He will not be able to provide 24-hour coverage if he loses the projected seven deputies. I'm concerned because it's going to hit the economy in ways that I don't think people quite understand. Our planning and zoning department permit numbers, the work that's being done is getting back up to pre-recession levels, and we're doing it with five people. Now with additional cuts beyond that, they're not going to be able to make inspection times. So when inspectors don't work, builders and contractors don't work.We’ll also have impact to real estate transactions, and if they're delayed, if there's backlogs, that means that real estate transactions don't close on time. And if you have a lender in that transaction, you have to have that transaction close on time in order to close on a property.